Daniel Constantineau started to learn the music at the age of twelve and has been composing since the age of sixteen. His first musical works are created at the Camp musical de Lanaudière and open him the door of the Conservatoire de musique de Montréal, where he studies from 1975 to 1985. There he learns theory, composition and orchestra conducting, as well as the clarinet and piano, singing and electro-acoustic composition. From 1985 to 1987, Daniel Constantineau hones its skills in orchestral conducting by attending assiduously to the rehearsals of the Orchestre symphonique de Montréal and the Société de musique contemporaine du Québec. Recipient of grants from the Ministère des affaires culturelles du Québec, he participates, during the same period, in internships at Tanglewood, Domaine Forget and Artsperience Conducting Symposium. 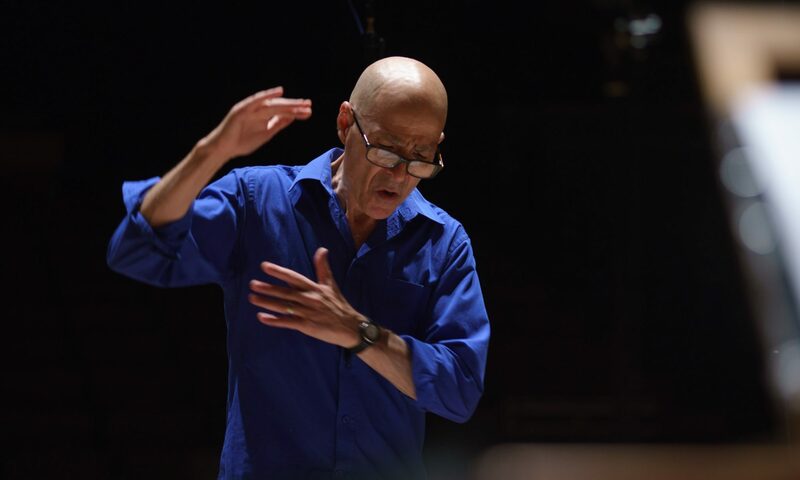 During his studies in orchestral conducting, he starts to compose incidental music for television, radio, theater, movie, from which emerges for over 30 years a catalog of works that stands out for its diversity and its originality. In September 1996, he founds the Orchestre philharmonique du Grand Montréal, an amateur ensemble of high caliber which obtains an immediate success, until its dissolution, in June 2001. He then takes the reins of the music program of Arts and Letters, at College of Valleyfield, where he teaches history, theory, analysis, choral singing and music-assisted computer, from 2000 to 2013. In 2003, hearing a Beethoven symphony by the Orchestre révolutionnaire et romantique of John Eliott Gardiner prompts him to join the Tafelmusik Baroque Summer Institute in order to receive, in 2004 and 2006, the expert advices of Jeanne Lamon, Ivars Taurins and Bruno Weil about the conducting of ensembles of period instruments. He completes this training by attending, in the summer of 2011, rehearsals and concerts of the Orchestre des Jeunes Atlantique, a group specializing in the interpretation of classical and romantic symphonic repertoire on period instruments. He then meets Philippe Herreweghe and Lonquich Alexander, renowned musicians in this area. These various experiences prompted him to found the Orchestre symphonique de la Vallée-du-Haut-Saint-Laurent (OSVHSL), a group that plays classical, romantic and post-romantic repertoires on period instruments and whose starting year, in 2010-2011, was successful. Since then, OSVHSL produces about two to four concerts a year. In this context, the release of a first album under the label ATMA – André Gagnon Baroque – in October 2015, followed by nominations at the Galas de l’ADISQ and Opus Awards, respectively in November 2016 and February 2017, are achievements leading. Alongside his activities as a musician, Daniel Constantineau completes, in 2008, a certificate in journalism at the University of Montreal, following which he acts as a supernumerary editor at Le Devoir, as well as classical music columnist at the 4 @ 6, CIBL Radio-Montreal, from 2007 to 2009. The sting of studies and the need to take good care of his businesses prompt him to enroll at École des Hautes Études Commerciales de Montreal, where he awards a Masters in Management of Cultural Organizations (MMEC), with mention of excellence, in September 2014.